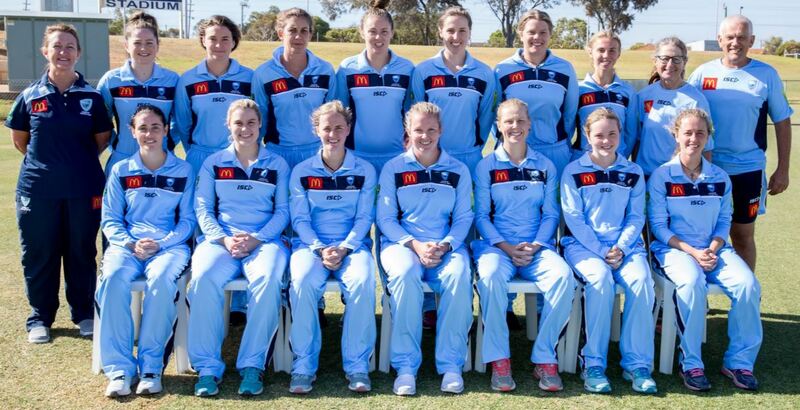 NSW Country selectors have named a 14-player squad to represent the Bush Breakers in the Women’s Division of the Australian Country Championships in January. The NSW Country Women’s team will be captained by Port Macquarie allrounder Kate Jackson for the second consecutive season. Six debutants have been selected in the squad including 43-year-old opening batter Joanne Kelly. Kelly was the leading run-scorer for St George-Sutherland last season in the McDonald’s Women’s Premier Cricket competition. She made 742 runs at an average of 43.6 across all forms. The other five debutants include McKenzie Carr, Claire Lennon, Claire Murray, Alana Ryan and Jaclyn Vickery. North Coastal and Central Northern are the best represented zones in the squad. Each area is represented by four players. The squad also includes allrounder Naomi McDonald, who was named in the Women’s Australian Country Merit XII last season. McDonald was the leading run-scorer for the Bush Breakers at the championships last season. She scored 165 runs at 41.25. The Bush Breakers finished the 2018 Country Championships in third place. The Women’s Division of the Country Championships this season starts on 5 January in Shepparton, Victoria.